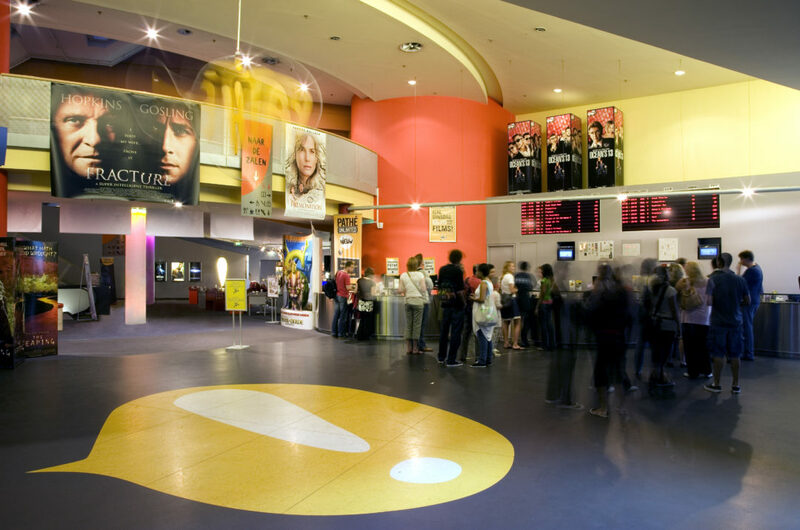 This Pathé group multiplex is located in the centre of Amsterdam’s historic district. The project involved designing 10 cinema auditoriums of different capacities to seat large and varied audiences. 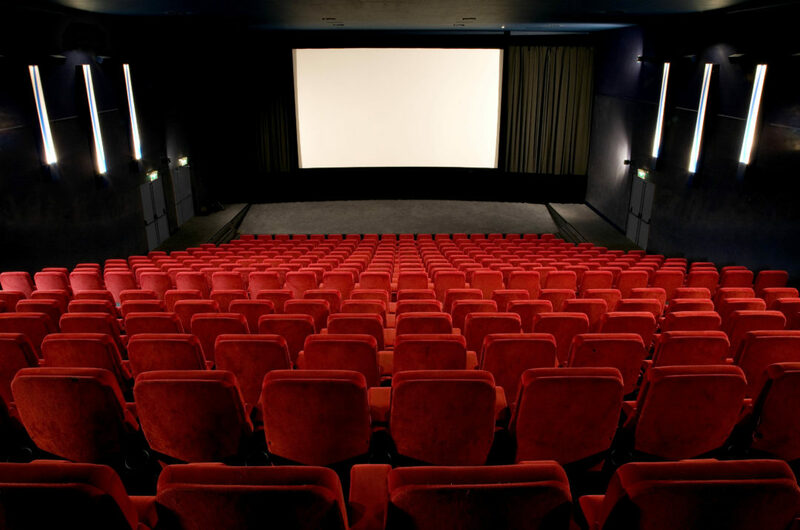 It also involved integrating the usual functional areas of a cinema such as the reception and ticket offices, drink and snack vending machine areas and associated facilities on three levels. It was also requested that the Pathé brand’s new visual identity and color code be incorporated into the new space. In addition to these requirements, Elizabeth de Portzamparc’s project included a proposal for a bar foyer on the ground level with a fast-food corner intended for a general public. Access is made through a vast entrance hall with one large ticket office designed with dynamic curves and innovative built-in plasma screens on the opposite wall. A fluid and dynamic staircase leads to the first floor mezzanine. Past the entrance hall, in a circular and generously-sized space, escalators ascend to the auditorium levels. 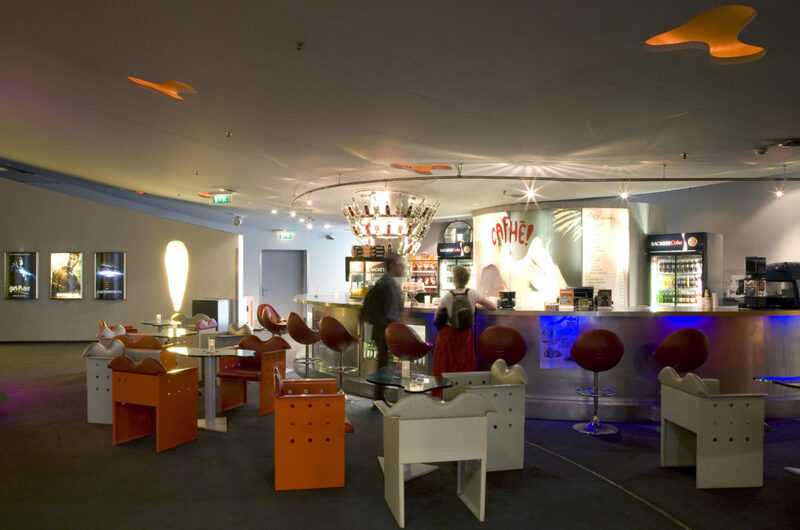 This area also houses the foyer bar, now a popular meeting place in Amsterdam. Five auditoriums, as well as a drink and a snack bar are located on the first floor. They create a fun and festive ambiance with dynamic neon lighting. 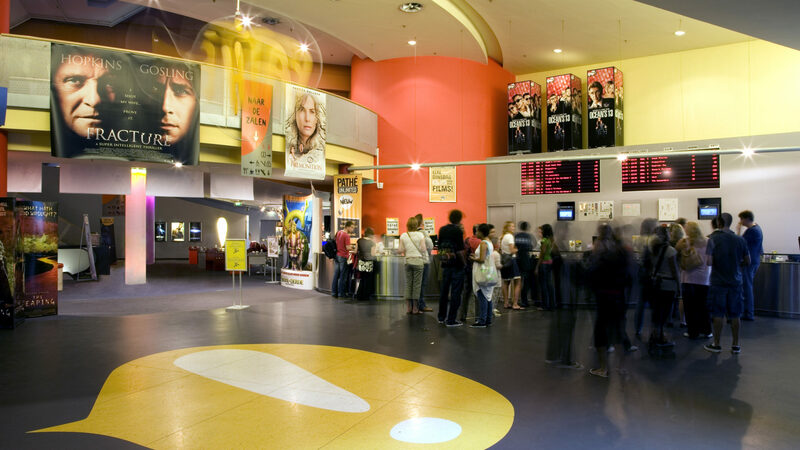 The second-floor area offers access to five cinema auditoriums and a drink and snack bar. Elizabeth de Portzamparc incorporated elements of the Pathé brand image and the colour code into the design. The architect paid special attention to pedestrian flow within the complex. Materials meant for heavy pedestrian use were selected for their solidity and coherence with the interior design’s aesthetic choices. Consequently, these play an integral part in the commercial success of the complex. Design and realization of scenography and interior architecture of the Pathé multiplex incorporating the group’s visual identity.